Pep Guardiola was left speechless after learning that Benjamin Mendy tagged himself at Hong Kong International Airport on his Instagram story on Friday. Despite returning to action for Manchester City against Burton Albion in the Carabao Cup last month, Mendy remains sidelined while recuperating from knee surgery in November. As such, the French full-back will not feature against Chelsea on Sunday for City and was given permission by Guardiola to travel to Barcelona and Paris to help with him regain full fitness. The City boss also confirmed that captain Vincent Kompany will sit out of the Chelsea game as well due to muscle problems. “Mendy is injured and it’s not easy. Meniscus. It is not easy. He needs to re-adapt,” said Guardiola on the club website. On Friday morning, however, Mendy posted a video of himself on Instagram with the location tag of Hong Kong International Airport. 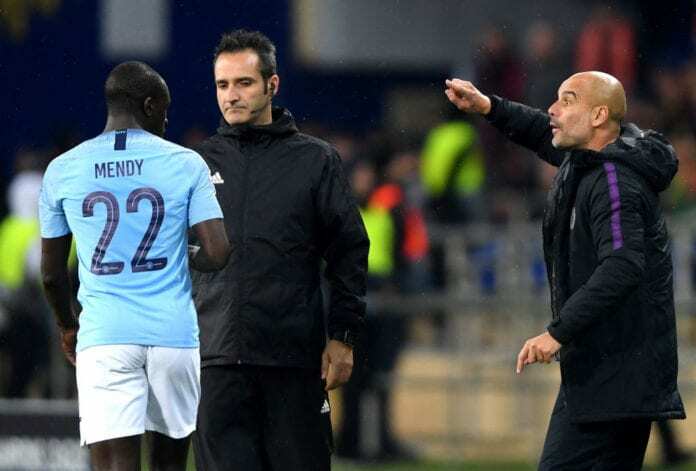 When asked about this one, Guardiola was taken completely aback as he thought Mendy was still at Barcelona. He said: “Wow, I didn’t know. F***, he’s a lucky guy. He said he was going to Paris but Hong Kong is far away, I need to download an Instagram account. 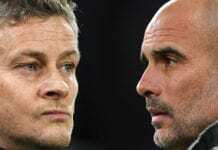 Meanwhile, Guardiola will be hoping to see his City side claim a third consecutive win this Sunday against Chelsea as they bid to hold on to their lead at the top of the Premier League. The Manchester City ace says football must deliver harsher punishments to stop racism in the sport around the world. The Citizens’ 2-0 win at Everton on Wednesday saw them return to top spot in the standings for the first time since December. 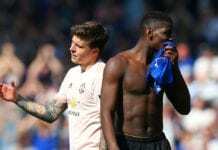 However, Guardiola is refusing to underestimate Chelsea counterpart Maurizio Sarri who he feels has made progress since their first meeting back in August in the Community Shield despite what recent results may suggest. “People believed managers arrive at good clubs and immediately create something,” said Guardiola. “My feeling when I saw Chelsea at Community Shield was they were already there. “They have been exceptional. Final of Carabao Cup, in Europa League, and Premier League they are there. “They are nine behind with one less game and in the FA Cup they are there as well. 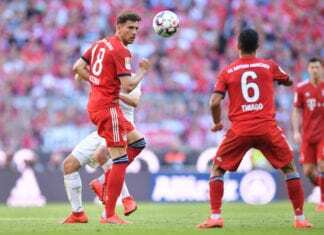 Bayern Munich is set to play against Werder Bremen tomorrow night with the only objective of qualifying to the DFB-Pokal Final. Quiz: How deep is your knowledge about Rui Costa?